Just When I Forgot My (Soldering) Gun! 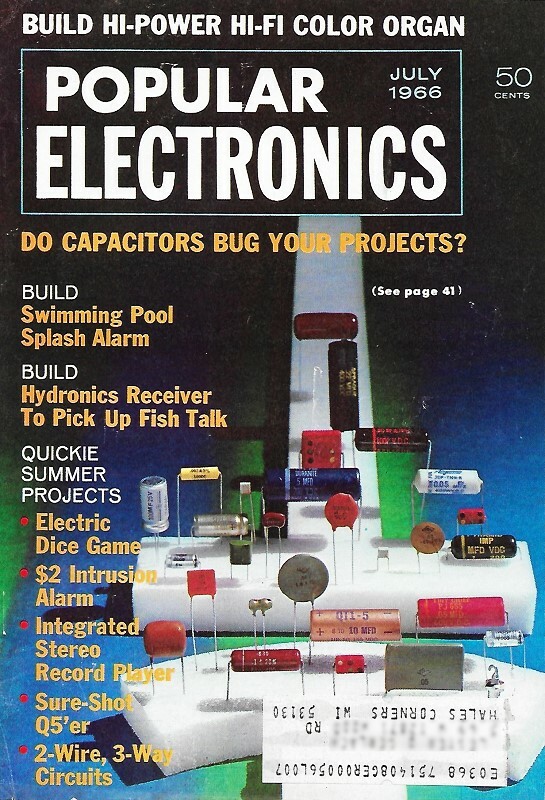 In July 1966, Popular Electronics magazine invited its readers to submit examples of ridiculous statements made by people supposedly "in-the-know" about electronics and/or technical subjects. Space was allotted to it in four later issues, all of which I will eventually post. This initial request included a couple of the editor's favorite lines. Some of them seem to be more like the speaker punking another person rather than not really knowing any better. See if you agree. The knowledgeable electronics experimenter is often aghast at the "explanations" given ordinary electronic functions. Although most of these explanations are made by the uninitiated, a fair number originate as off-the-cuff statements by radio parts store countermen, surplus equipment salesmen, radio operators, etc. "Oh, when you replace that resistor, be sure that the little color bands go in the same way. Those resistors won't work if they're put in backwards." "Heck, that doesn't need batteries, it's got transistors." "What's better - a superhet or a Williamson?" Have you overheard any wild, implausible remark about anything electronic? If so, send it in to: "Gun Contest:" Popular Electronics, One Park Avenue, New York. N. Y. 10016. If your statement or question is published, we will send you a soldering gun. Be sure to include a brief history on where and when your contest submission was overheard.